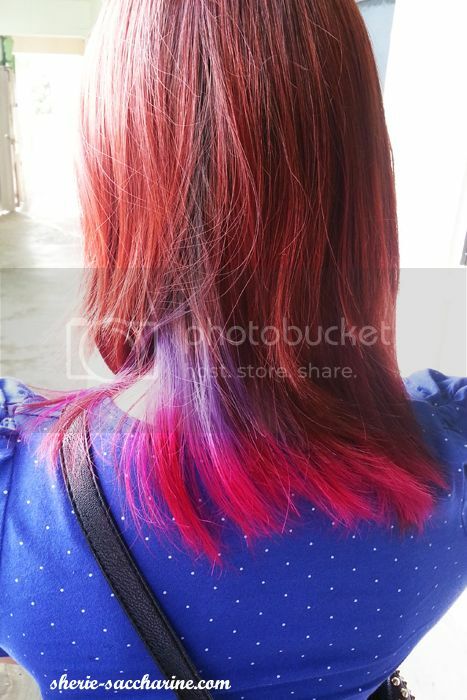 DIY OMBRE / DIP DYE FIREWORKS HAIR! 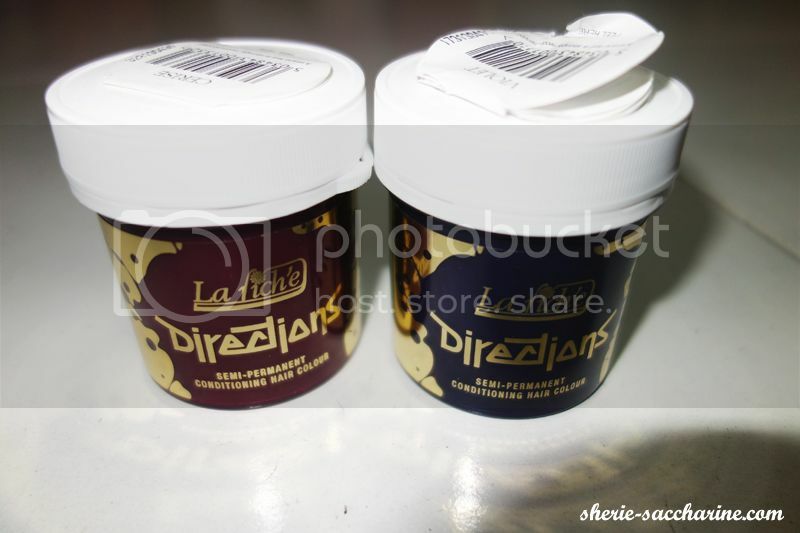 I have bought my La Riche Directions hair dyes for awhile and has been procrastinating on how I should do it. However, with the temptation of showing off my intelligence and excitement of photoshoot last week, I finally did my ombre hair with the help of my little baby brother! 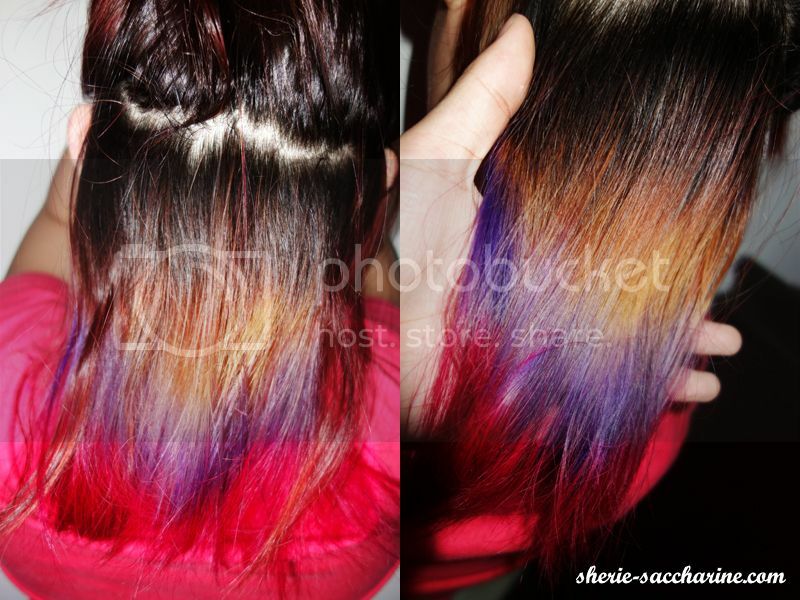 HERE'S HOW YOU CAN DIY YOUR OMBRE DIP DYE HAIR TOO! 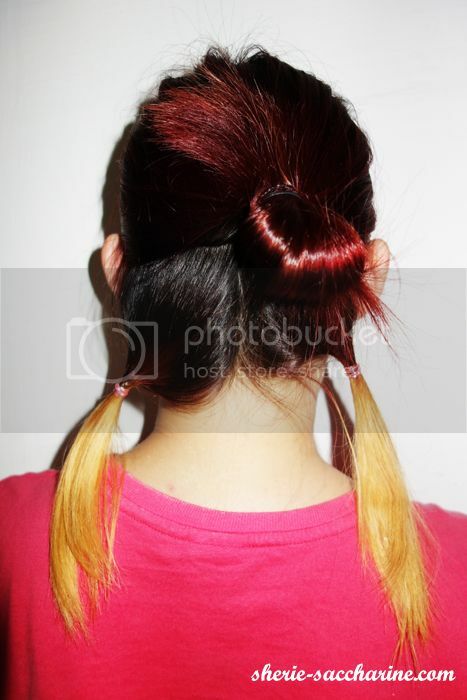 Step 1: Tie 2 little pony tail, or any sections of hair you want dye on. 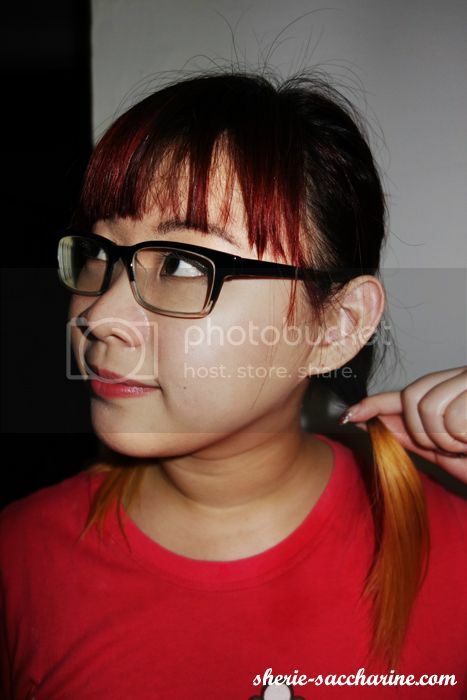 I have previously bleach my hair to a light yellow blonde, and after my layer of new red dye, it became this ugly orange. 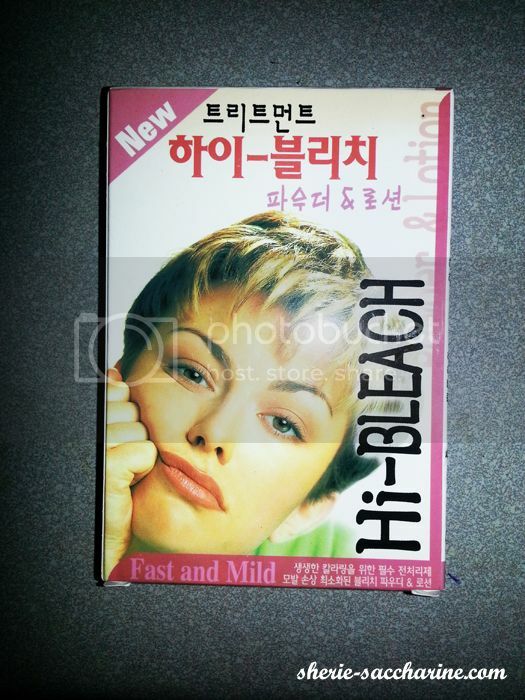 I'm using a powder (+lotion) bleach that I bought for less than $4 at British Essential (Tampines 1). 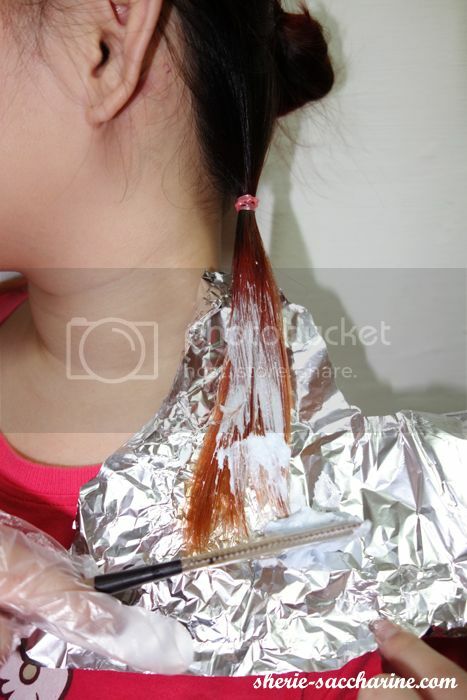 Spread the bleach evenly on the hair, ensuring that every strand are covered entirely. I bleached my hair for almost an hour, you may adjust the timing according to the tone you need. 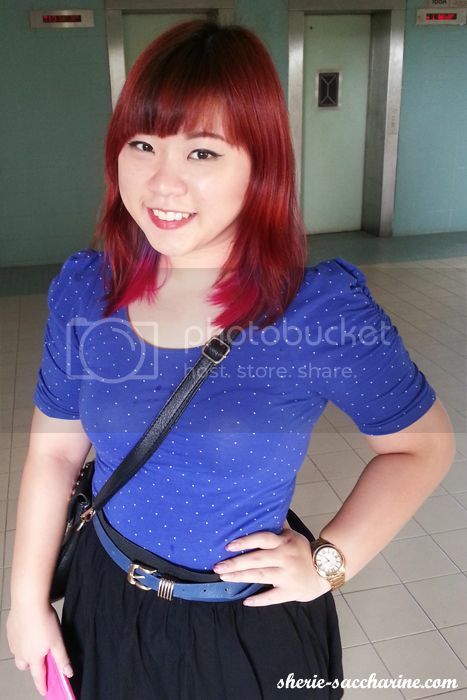 This is the indication of the bleach tone that I wanna achieve. I towel dry my hair and quickens the process with hot iron. If you already have dry and brittle hair, allow the hair to dry naturally. 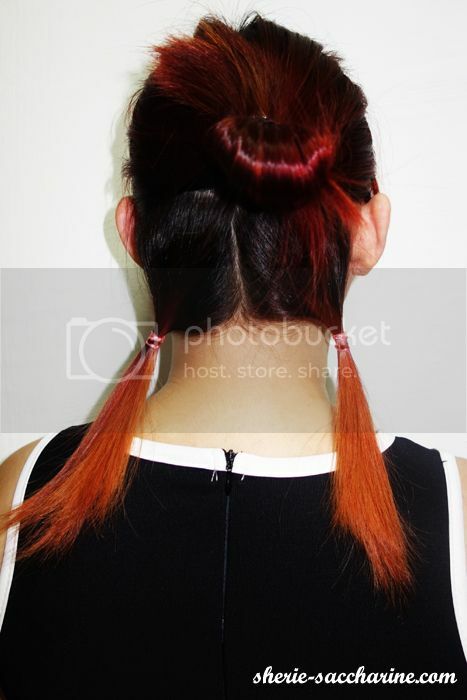 If you have dark brown or black hair, you may stop at this stage to achieve your ombre hair. 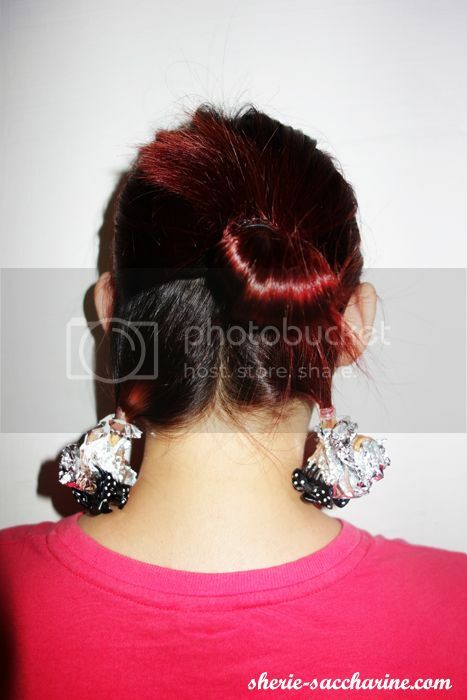 But being the vainpot and desire of having Fireworks-inspired hair, I moved on to the next step. I'm using the La Riche Directions dyes in CERISE and VIOLET. 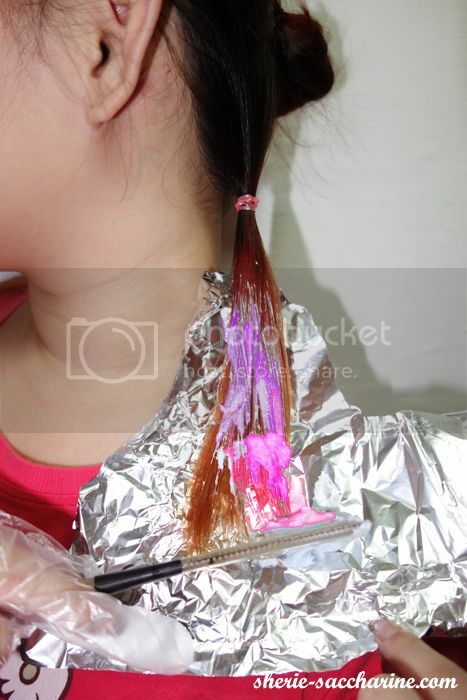 Spread the coloured dyes on your hair in two sections, depending on how you want them to blend. Alternatively, you may colour one bunch CERISE and one bunch VIOLET. 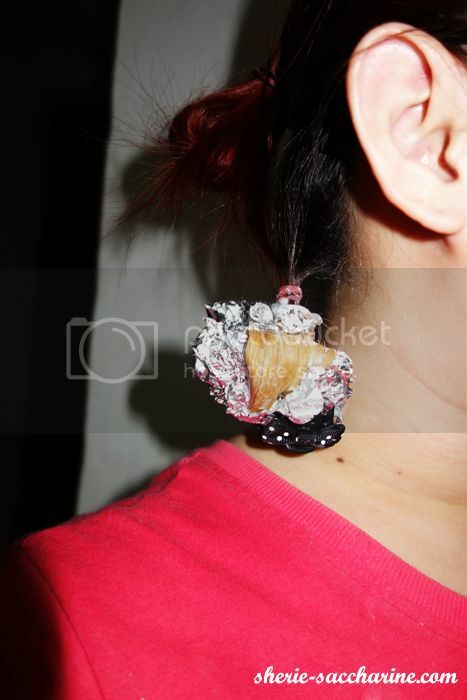 The dyes only need 15mins to work, but as Asians hair are usually very stubborn, so I left it on for 45 mins. This the the initial results. Very colourful, too colourful. I didn't like the yellow bleached hair showing, so my brother, Victor helped me by spreading the VIOLET all the way up to blend with my red hair the next day. 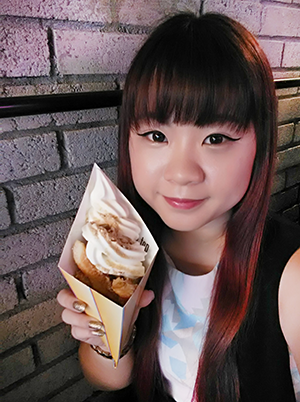 I didn't want to spend too much time and money doing something that lasted only for a few weeks, so I decided to DIY the ombre hair myself and enjoy all the praises that came along with it! Hope you enjoy your DIY process too! 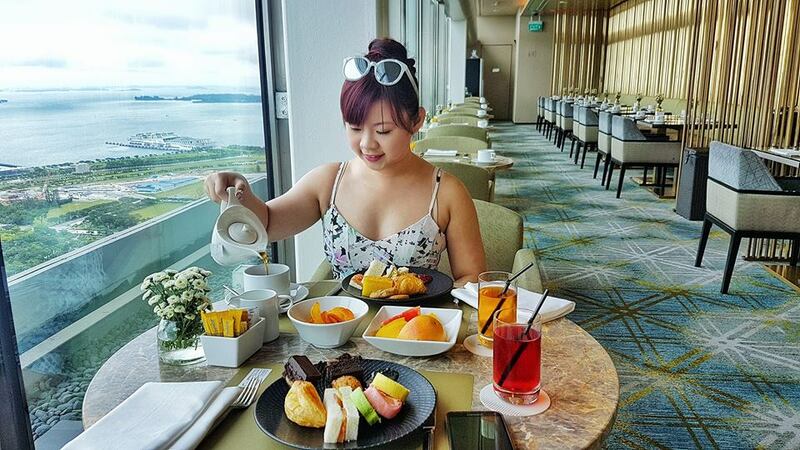 Share with me your creations by tagging @asksherie on Instagram!